All Saints' Church initially engaged Farewell Mills Gatsch Architects to develop a Master Plan for its secular and non-secular spaces. As a result, a long-term plan for renovations, modernization, and new additions was developed. The project was executed in two parts: an Existing Conditions Assessment and Programming Phase which was followed by a Design Phase. Farewell Mills Gatsch met with various constituencies of the Church and prepared a summary of the Church's operations and space needs. A conditions assessment was completed, with coordination of its architectural survey with those of its structural, civil, and MEP engineers. The report was supplemented with a code and zoning study. Developed from valuable information gathered in these previous studies, sound growth strategies were formulated for the expansion of the congregation and their structure. Farewell Architects was selected to execute the first design phase undertaken in the Master Plan. 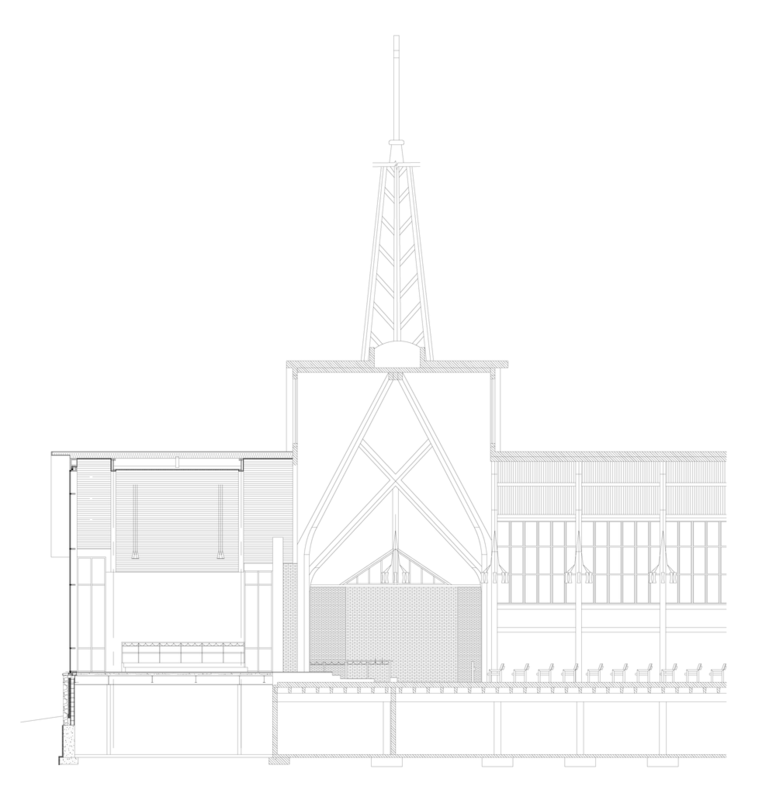 Phase one included the design and construction of an enlarged Chancel with raised platforms for choir, organ accompaniment, storage, and access to the choir rehearsal room below. The new east wall of the Chancel is glazed to provide a sense of transparency and extension to the church.